These days, a business needs to go where its customers are, in order to build a brand successfully. Where are these customers? Today’s customers are curious. Insatiably so. They surf the Web relentlessly in search of information. On Google, most likely, since it’s by far the most-used tool for Internet searches. Customers don’t head for the TV, the radio, or even the library to find information about the products a business makes. They head for the Internet. If a company isn’t there, it might as well be invisible. 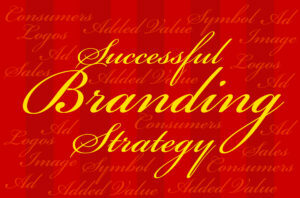 Let’s look at how a business can leverage Google to build its brand image. When a potential customer searches for the product a business makes, that business wants the customer to see their name at the top of the search results, not on page 14. Google, fortunately, has made a way for businesses to soar to the very top of those search results—paid advertisements called AdWords. The beautiful thing about AdWords? In addition to instant search visibility, a business can also piggyback its other marketing strategies onto its Google ads for triple the benefits. More visibility, more clicks. More clicks, higher search results rankings. With Google AdWords, a business will find more of its target customers clicking on the link on the ad to go to its website. The more people visit its website, the higher the business will rank for searches for its product in organic searches, even after the advertisement runs its course. Targeted advertising brings in the right customers. Unlike traditional print, TV, or radio advertising, a business can target where its Google ads appear. Google AdWords allows advertisers to target people likely to buy that business’s product. When a person searches for something on Google, Google keeps a record of that search. Google then automatically causes ads for companies who sell that product to pop up every time that person goes online—even if they’re not searching for that product. The brand constantly appears in front of those customers—wherever and whenever they get online. Regular AdWords ads, too, can target people by demographics: language, gender, locality, and other characteristics. That’s branding magic—and businesses can put it to use for a fraction of what they’d pay for other ads. On-site brand promotion campaigns gather steam with Google’s help. 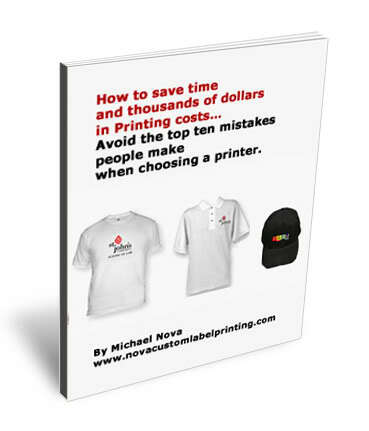 Promotional gear is great for getting a business’s name out in front of locals. The right logo, the right message on a pen, a t-shirt, or a mug gives a business what amounts to almost-free advertising. Couple that impact with the outreach a business can have if it advertises that promotional on Google to pre-screened, ready-to-buy customers. With more qualified customers pouring in the doors from the extra online publicity, word will spread quickly as they grab the gear and get out into the world, a writing, walking, sipping billboard for the brand. With Google ads, not only do the paid advertisements go immediately to the top of customers’ search results, but the business can also track how well each ad brought potential customers to its website. In days, not months, a business can know how well its brand has fared with each ad. That, in turn, can give a business valuable information with which they can tweak each campaign to produce even better results. With targeted Google ads combined with an on-site campaign, a business can leapfrog ahead of its competition to brand its business with an indelible image that reaches its customers from all angles—both online and off.